The India Report Card is part of an international endeavor of researchers from across 49 countries in six continents, called the Global Matrix 3.0. A new initiative led by Tarun Katapally, associate professor at the Johnson Shoyama Graduate School of Public Policy (JSGS), and co-leader Jasmin Bhawra from the University of Waterloo, resulted in the second (2018) India Report Card on Physical Activity for Children and Youth. The Report Card was released as part of the Active Healthy Kids Global Alliance’s Movement to Move Conference in Australia on November 27. An integral part of Dr. Katapally’s Global Health Program, the India Report Card is part of an international endeavor of researchers from across 49 countries in six continents, called the Global Matrix 3.0. Together, these researchers are assessing global trends and raising awareness of childhood physical inactivity, and advocating for active living policies in countries around the world. Evidence shows that modern lifestyles, including increases in screen time, urbanization of communities, and increasing automation of previously manual tasks, are contributing to a pervasive public health problem that must be recognized as a priority in India and around the world. "Leading the India Report Card has provided me the opportunity to not only address evidence gaps in the second most populous country in the world, but also enabled me to develop an Indo-Canadian team based at JSGS that enables efficient translation of knowledge between high, medium and low-income countries. This knowledge translation helps researchers in different countries to learn from each other’s success and failures, and to advocate for active living policies,” said Katapally. Global Matrix 3.0 found that countries with the most active children and youth overall—including Slovenia and Japan—rely on very different approaches to get kids moving. However, what is consistent among all these countries is that physical activity is driven by pervasive cultural and social norms. Being active is not just a choice, but a way of life. “Different things work for different countries, but the idea of this initiative is to understand what can be easily learned from countries participating in Global Matrix 3.0 by looking at the overall global evidence,” says Bhawra. With over 1.2 billion people, India is the second largest country by population in the world. That coupled with its geographical size and distribution, climate and culture, makes it a unique environment for understanding active living patterns. Katapally and Bhawra put together a research group comprised of seven experts in physical activity, child health, and health policy from five universities and institutions, including the Madras Diabetes Research Foundation, CSI Holdsworth Memorial Hospital in India, and the University of Southampton in the United Kingdom. Together, the researchers evaluated and graded 10 core indicators of physical activity—overall physical activity, organized sport participation, active play, active transportation, sedentary behaviour, physical fitness, family and peers, school, community and the built environment, government strategies, policies and investments. This year, the group also added yoga as a new indicator to capture a key cultural component of physical activity in India. “The connection between physical inactivity and economic output has implications for the global economy, as India’s youth will make up a significant proportion of the world’s work force,” says Bhawra. poor community and built infrastructure (urban infrastructure for walking and biking, access to physical activity spaces, safety from crime and traffic, pollution, aesthetics, and built environment around schools). “It is critical for policy makers in India to pay attention to increasing physical inactivity as evidence suggests a connection between sedentary lifestyle and poor economic output,” says Katapally. The research team has proposed several suggestions to help redirect efforts to improve physical activity among children and youth in India. The recommendations include implementing a national strategy for physical activity for children and youth, adopting active living policies in urban planning and development, minimizing gender-based inequalities, and addressing lack of active living research by re-directing resources. These recommendations are tools to advocate for and inform active living policies in India, and around the world. “Addressing gaps in active living research in a country like India is a great opportunity for JSGS to become one of the global leaders in active living policy research,” says Katapally. 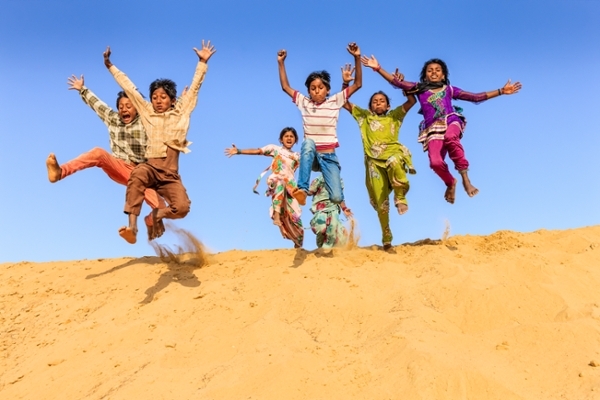 Katapally, Bhawra and fellow researchers have established a non-profit organization, Active Healthy Kids India (AHKI), to advocate for and promote research on physical activity among children and youth in India. Click here to view the full India Report Card. For more information and related materials about Global Matrix 3.0, visit www.activehealthykids.org.